The SolidWorks World conference, held in Orlando from January 20th to 23rd, showcased the work of 100 plus solution partners, who have used and built on the company's technology within a range of industries. During the annual conference, Bernard Charles, CEO of parent company Dassault Systemes, presented his vision for the future of the SolidWorks brand, introducing a powerful new tool that complements the SolidWorks 3D CAD software suite. SolidWorks Mechanical Conceptual is the first SolidWorks application to be developed on top of Dassault Systemes' 3D Experience Platform, and is designed to bridge the gap between detail and conceptual design. easily manage multiple concepts before committing engineering time to build. Mechanical Conceptual saves projects to the cloud, preventing users from losing projects due to crashes occurring before data has been saved. Data-driven, the project aims to cut down on wasted time by encouraging stakeholders and designers to engage with each other by sharing concepts in a private online community. It is also instinctive, learning from previous changes made, as well as simulating early concepts and suggesting possible errors in design. 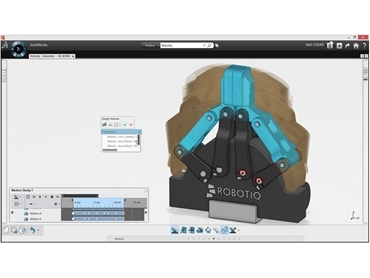 Vice President of Product Marketing and Products Management at DW SolidWorks Fielder Hiss explained that "this will allow users to evolve your concepts from layouts to 3D geometry to parts and assemblies without ever considering the structure." "This is a natural way to do concept design. You think about an organisation, when you’re further along then you’re actually more organised and you know how you want to structure things," he added. SolidWorks CEO Bertrand Sicot invited users to join a test of the new application in May, noting that October is the target for a general release. Intercad is a leading supplier of SolidWorks solid modelling solutions in Australia and New Zealand.